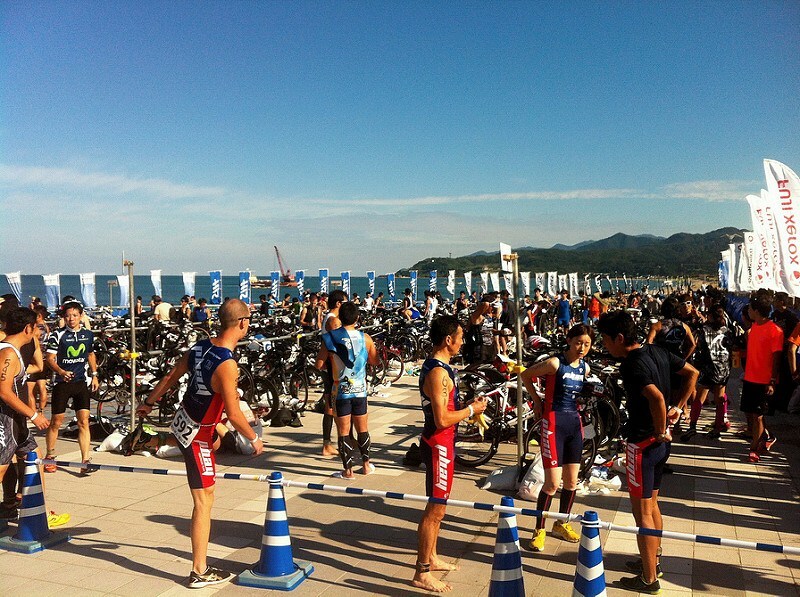 Murakami Triathlon 2013 — Hi, my name is Tomomi. On September 29th, I competed in Murakami International Triathlon in Niigata Prefecture and it was everything I could have hoped for and more. This race report is a loose, chronological account of my race day weekend. At the end are bonus sections about my training and gear. 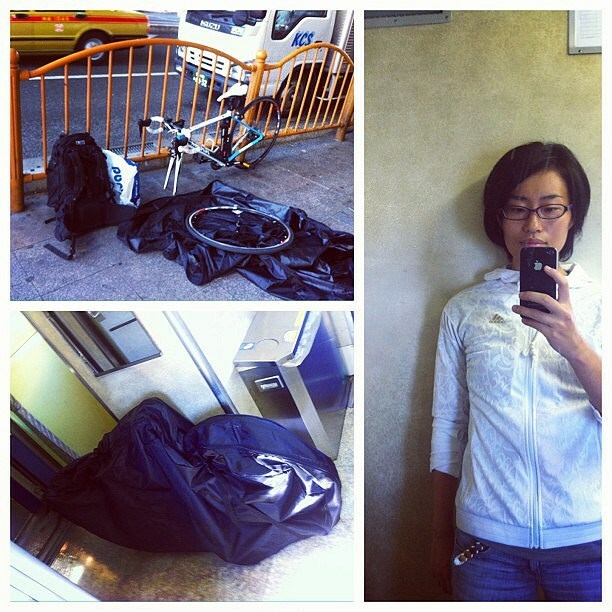 At Niigata Station, we joined a wave of people carrying big bike bags and got on a local train to Murakami Station. I chatted with an older lady with an Ironman backpack. She said this was her last race of the season and that she didn’t usually do “the shorter races”. Haha! She must have been in her 60s. Respect! Next, we found the race mechanic to get a quick check-up before heading to the mandatory athlete briefing. The head judge gave a Powerpoint presentation of what to expect the next day. I kept looking around. The auditorium was packed to the brim with lean, tan people. The shout of a staffer on a kayak interrupted my blissful stroking. A big gesture to the right accompanied the poking of his oar – I was swimming the wrong way. Oops. I’d forgotten what the goal buoy looked like, so a bit of energy was wasted on extra sighting. I was sorry to see the swim ending. Asides from the sheer enjoyment of moving through these lovely waters, this portion of the race was going to be my best. A few hours of uphill battle awaited. Just a few more thoughts before I wrap up. 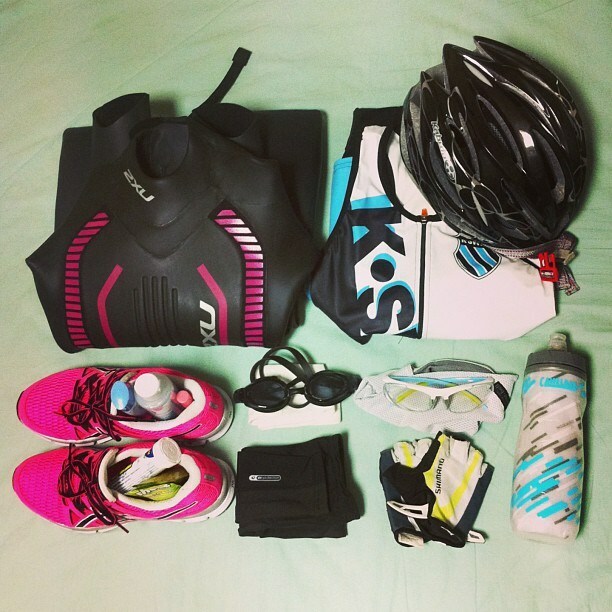 More geekiness: how I shopped for my first triathlon.